If you have any questions about the Ilona information page below please contact us. Motor Yacht Ilona was a milestone launch by Amels Shipyard of Holland in 2004, being a truly custom yacht measuring 73.81 metres (or 242 ft) in length overall. Yacht Ilona was launched by Amels in Makkum, the Netherlands and she has also refitted in 2006, and subsequently in 2012. Redman Whiteley Dixon designed the yacht's flowing exterior and was also employed to create the yacht's interior design. Yacht Ilona was built with a steel hull and an aluminium superstructure. She has a beam of 12.10m (39.70ft) and a 3.60m (11.81ft) draft and she is built to comply to MCA and LR standards. She sails with an Australian flag and Ilona can accommodate a maximum of up 16 guests, in 6 cabins, whilst cruising overnight and she also accommodates up to 28 crewmembers. Each of her twin engines Caterpillar Inc Model 3516B DITA diesel engines produce 2,635 horse power or 1,965 KW giving her cruise speed of 16 knots. Superyacht ILONA is the forth yacht called ILONA which was built and launched for the same owner who is an Australian citizen. 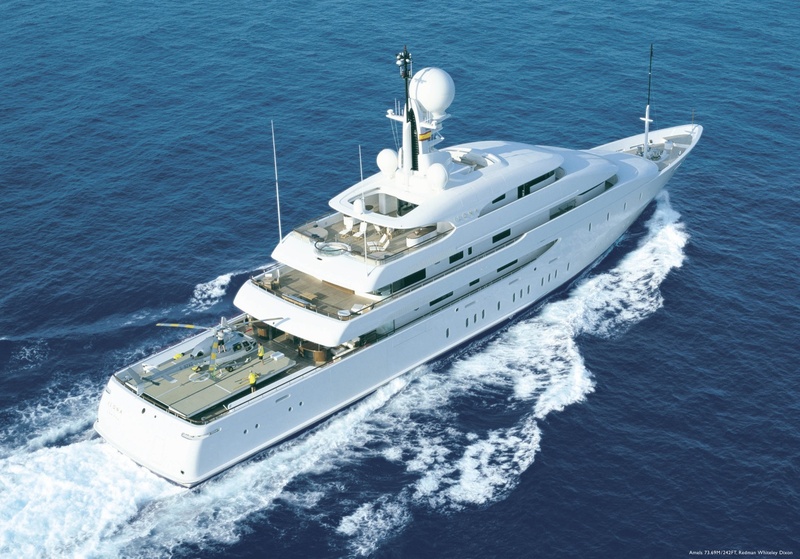 M/Y ILONA is the largest of the four yachts built, so far, and was the inspiration of Amels shipyard in-house team, Redman Whitely Dixon and also the yacht's owner(s). 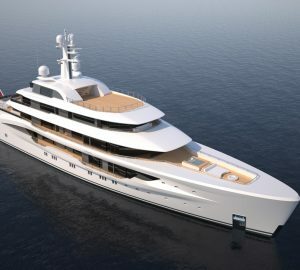 Her exterior design is unique with her flowing, balanced and naturally inspired lines and she stands out as being able to be easily identifiable due to her one of a kind good looks and also her formidable size (being one of the the world's top 100 largest private yachts). In addition to numerous luxury yacht amenities, this boat also boasts a cinema, a massage room and a gymnasium. ILONA has been awarded as the Most Innovative Motor Yacht and The Best Motoryachts Over 43 Meters awards. 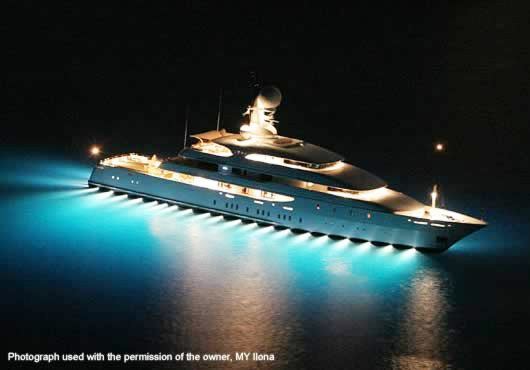 Another interesting feature of motor yacht Ilona, and indeed one of the greatest design and building challenges, was how and where to incorporate the yachts large helipad and helicopter hangar. The was eventually successfully achieved through innovative design and creativity and without compromising her structure, lines, look or functionality. 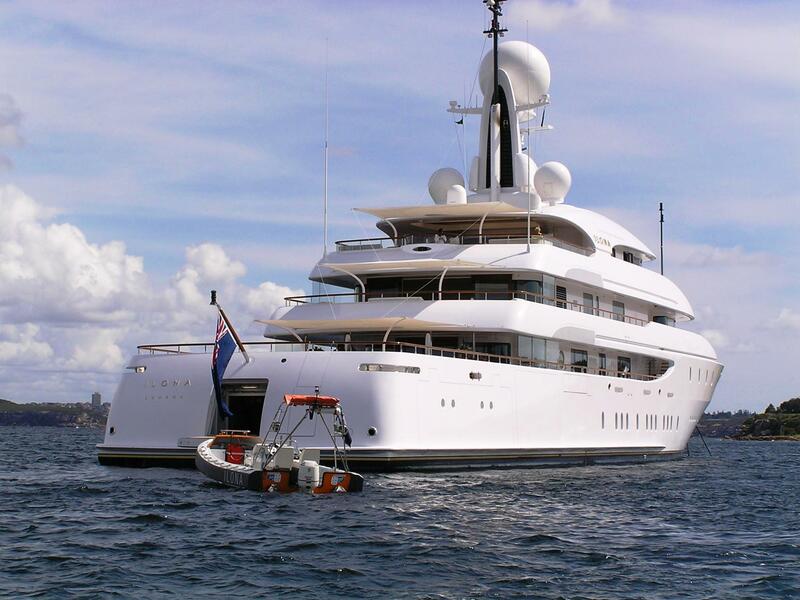 ILONA IV has the full retractable system of opening doors, on her aft deck, which has been installed to allow a helicopter to land and be stowed in a fire-proof hangar below deck. Overall, superyacht ILONA is a very successful and exceptional motor yacht which combines excellent sea going capabilities with superb design features. 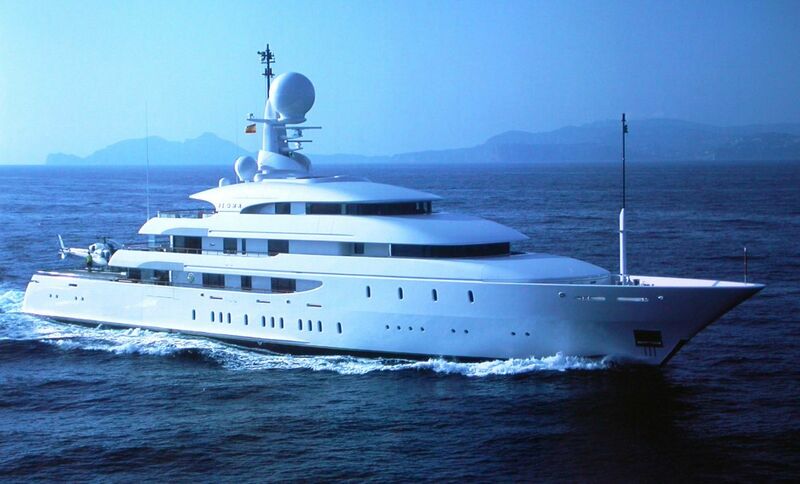 Ilona can accommodate a maximum of up 16 guests, in 6 cabins, whilst cruising overnight and up to 28 crew. We do have available further amenity, owner and price information for the 73.81 yacht Ilona, so please enquire for more information. The luxury yacht Ilona displayed on this page is merely informational and she is not necessarily available for yacht charter or for sale, nor is she represented or marketed in anyway by CharterWorld. This web page and the superyacht information contained herein is not contractual. All yacht specifications and informations are displayed in good faith but CharterWorld does not warrant or assume any legal liability or responsibility for the current accuracy, completeness, validity, or usefulness of any superyacht information and/or images displayed. All boat information is subject to change without prior notice and may not be current.